While not relaunched as a separate service (or at least not yet), as has been rumored for a long time now, Google+ Photos has received some neat integration with Google Drive today. 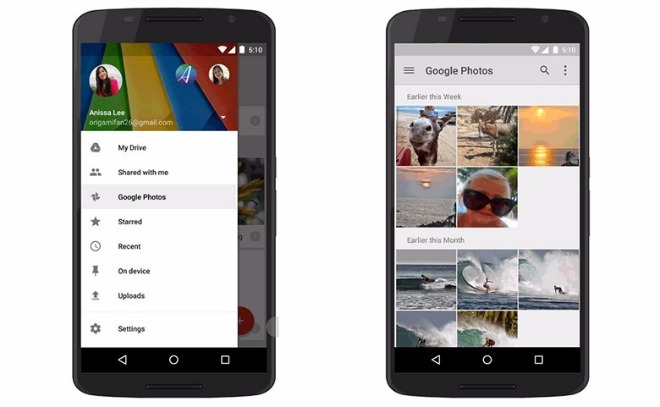 In short, your Google+ Photos will now show up in a dedicated place in Google Drive. A new menu for Photos should show up in Google Drive on iOS, Android, and the Web, as seen in the image above. Like before, you can use Google+ Photos to store pictures and videos, but thanks to the new Drive integration you can finally view all of your files in the same place. Since Google Drive is a cloud storage service, this of course makes a lot of sense – unlike what the situation was previously, when you were supposed to go to Google+ Photos for images and videos, and Drive for anything else. Unless, that is, you also backed up your photos and/or videos to Drive, in which case a big mess resulted. You should start seeing your photos and videos in Google Drive today if they’re new. Your entire collection will become available in Drive in a few weeks.